Current students can check their course fees by logging into Minerva. All fees are subject to annual review. The University reserves the right to make changes without notice to the published scale of fees. Course fees are exempt from federal and provincial taxes (GST and QST). 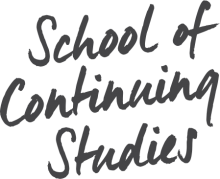 The official Continuing Studies fee schedule is available on the Student Accounts website. The fees for non-credit courses are noted either beside the course description or in the department timetable in the Calendar. The McGill Association of Continuing Education Students (MACES) and Career Advising and Transition Services fee may apply for certain non-credit courses. Refer to the official Continuing Studies fee schedule. External Fees: The School of Continuing Studies is not responsible for any fees payable to an external association or institute. Tuition rates for 2018-2019 are posted on the Student Accounts website. To determine whether you will have to pay Quebec, non-Quebec (Canadian or Permanent Resident), or International tuition rates, please consult the Student Accounts website. Exemption from international tuition fees may be claimed during the semester by students in certain categories. Students must fill out the International Student Fee Exemption Form and submit it to the School of Continuing Studies with the required documents. Students who qualify for one of the exemptions are then assessed at the Quebec tuition rate or Canadian tuition rate (as applicable). NOTE: Health insurance is compulsory for international students. Please refer to International Student Services for further information. Registration charge: The University will charge a registration fee to all students in credit courses and programs. General Administrative charge: Students are assessed a general administrative charge for the Spring/Summer and Fall terms. Students registered in the Winter term will also be assessed a general administrative charge ONLY if they did not register for a course in the Fall term. Transcripts and Diploma charge: This entitles students to order transcripts free of charge and covers the costs of producing diplomas and is charged to all students. Copyright fee: This charge covers the cost of the annual fee that all Quebec universities are required to pay to Copibec for the right to photocopy material protected by copyright. Information Technology charge: This charge covers certain technology services provided to students as well as to provide training and support to students in the use of new technology. MACES charge: A fee per course is collected from each student on behalf of the McGill Association of Continuing Education Students (MACES). Students in short courses, seminars and workshops that are not recorded on the official McGill transcript are not assessed the MACES fee. Career Advising and Transition Services charge: A flat fee is charged per term for Career Advising and Transition Services offerings. McGill Writing Centre charge: A flat fee is charged for the McGill Writing Centre. For complete details on administrative charges, please see the Student Accounts site.